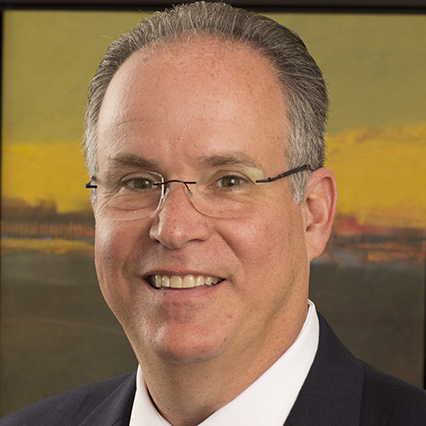 Robert J. Fryman is a partner in the firm’s Construction and Litigation Practice Groups. With over 25 years of commercial litigation and transactional experience, Mr. Fryman’s practice focuses on construction and surety law, representing owners, developers, general contractors, specialty trade subcontractors, design professionals and sureties in matters ranging from project development and contract negotiation through construction administration, claims, disputes and litigation. Mr. Fryman has successfully litigated matters in state and federal courts regarding public and private improvement construction projects, claims and disputes, performance and payment bond disputes, completion and takeover agreements and indemnity/salvage actions. Mr. Fryman’s transactional practice includes commercial and residential development contract preparation, review, negotiation and counseling of clients in contract performance and administration matters, aided by his experience in having successfully litigated or resolved claims and disputes arising in these types of matters. Mr. Fryman’s broad experience and depth of knowledge of the construction, development and surety industries provides a unique and highly effective perspective, enabling him to guide his clients through the negotiation of contracts and transactions, the resolution of disputes and claims between owners, construction managers, contractors, subcontractors, sureties, obligees and indemnitors and to successfully represent his clients before trial and appellate courts, administrative tribunals and in arbitration and mediation proceedings. Mr. Fryman’s emphasis in all matters is the successful, efficient and cost-effective representation of his clients in the attainment of their business and personal goals. Mr. Fryman is admitted to practice in New York as well as before the United States Court of Appeals for the Second Circuit, the United States District Courts for the Southern and Eastern Districts of New York, and the United States District Court of New Jersey. Mr. Fryman is a member of the New York State Bar Association and the Tort Trial and Insurance Practice Section of the American Bar Association. M.B. Din Construction Inc. v. Delta Iron & Construction, Inc. et al, Supreme Court of the State of New York State, Kings County (2016) – Successfully defended payment and performance bond surety and obtained dismissal at trial of subcontractor’s payment bond claim on a multi-million dollar public improvement completion project. Mometal Structures, Inc. v. T.A. Ahern Contractors Corp. and Safeco Insurance Company of America, United States District Court, Eastern District of New York (2013) – Successfully defended a general contractor and its surety against a subcontractor’s claim of wrongful termination and for payment under a labor and material payment bond and successfully prosecuted the general contractor’s breach of contract counterclaim to judgment. T.A. Ahern Contractors Corp. v. The Dormitory Authority of the State of New York, Supreme Court of the State of New York State, New York County (2012) – Successfully litigated and resolved a multi-million dollar complex delay and impact claim and defended against the imposition of alleged liquidated damages by the public owner. Sorbara Construction Corp. v. Leon D. DeMatteis Construction Corp., Supreme Court of the State of New York, Nassau County (2012) – Obtained summary judgment in favor of general contractor client on a multi-million dollar counterclaim against subcontractor for breach of contract involving delays caused to construction project by the collapse of subcontractor’s tower crane. Nycon Supply Corp. v. Great American Construction Corp., Maxx Construction, Inc. and Amazon Construction, Supreme Court of the State of New York, Kings County (2009) – Successfully defended a concrete and foundation subcontractor and successfully prosecuted a cross-claim against the site work contractor to judgment. National Union Fire Ins. Co. of Pittsburgh, PA v. Cox Mechanical Contracting, Inc., Ulico Casualty Co. and WDF, Inc., Supreme Court of the State of New York, Queens County (2008) – Successfully represented a completing surety on a large New York City Transit Authority East River subway tunnel project in recouping its costs for completing the project. God’s Battalion of Prayer Pentecostal Church, Inc. v. Miele Associates, LLP, 10 A.D.3d 671, 781 N.Y.S.2d 785, 2003 WL 23784459 (Appellate Division, 2d Dep’t 2004) – Successfully represented an architect securing dismissal of a lawsuit based on the existence of an arbitration provision contained in a contract prepared, but never signed by the parties. This trial level decision was appealed to, and upheld by, the New York State Appellate Division – Second Department and the New York State Court of Appeals.